I thought I was aware of all of London’s high rise restaurants, but I was surprised to come across a hidden gem! 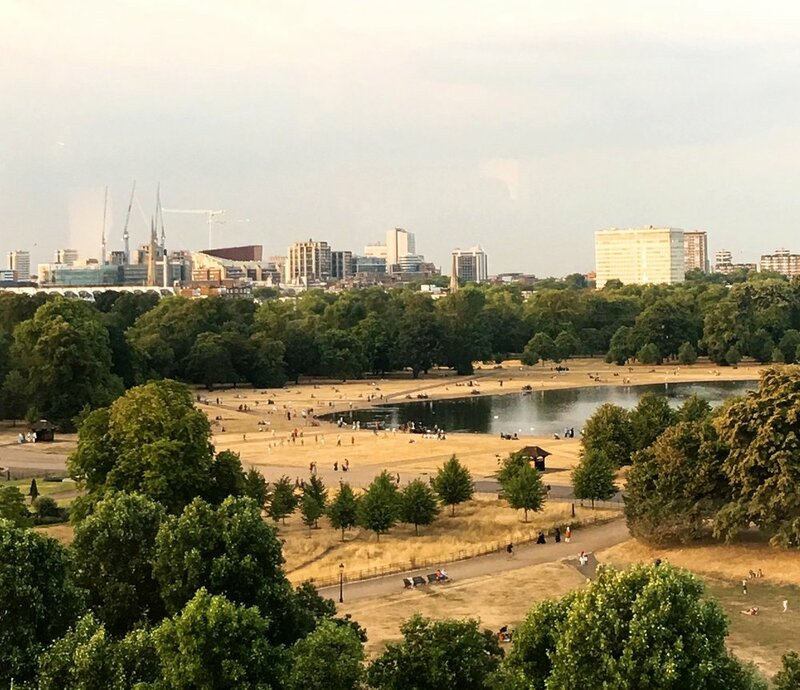 Min Jiang is located on the top of The Royal Garden Hotel, an independent 5-star hotel, with gorgeous views across Hyde Park. Min Jiang recently celebrated its 10th anniversary with a special selection of exquisite dishes delicately prepared by dedicated and loyal chefs this August. This ‘best of’ menu features ten of the restaurant’s most-loved and legendary dishes. 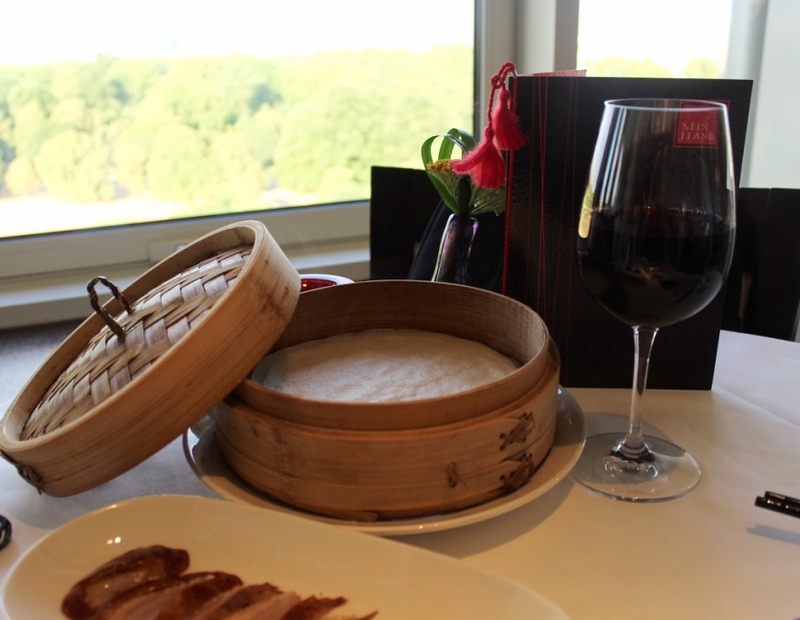 Truly embodying the authenticity of Min Jiang, the focal point of the guest dining experience has been shaped by the restaurant’s world-renowned Beijing Duck. Prepared according to an ancient Chinese recipe over 48 hours by dedicated duck chefs, the dish is glazed with sugar and cooked in a wood-fired oven and made into three delectable dishes. First the crispy skin is served dipped in fine granulated sugar followed by homemade pancakes with sweet sauce and shredded leek and cucumber or the same with garlic paste with radish and Tientsin cabbage. The next serving is split into four options allowing diners to fully experience the balance of the duck meat: minced duck with lettuce wrap, salted vegetable soup with duck and tofu, fried rice with diced duck or fried noodles with sliced duck. 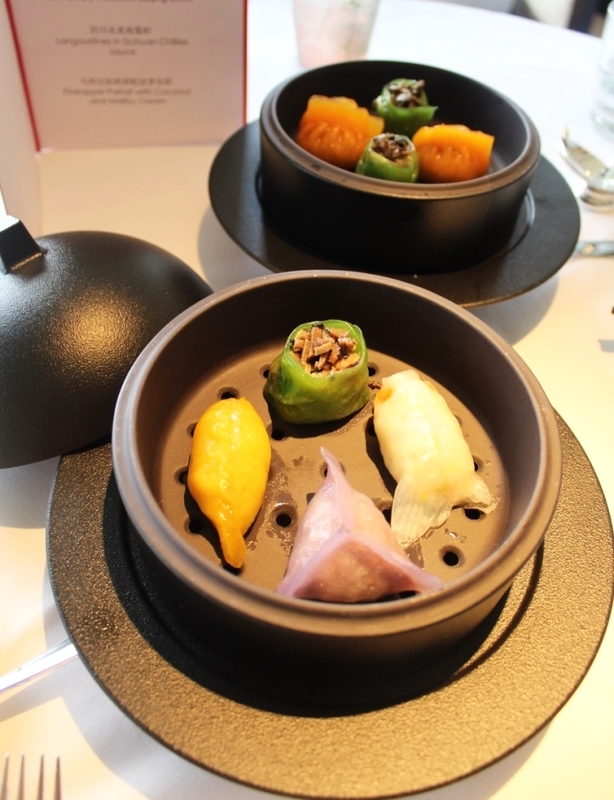 Other dishes on the celebratory menu include a Dim Sum platter consisting of Alaskan king crab, Beijing Duck garnished with morrels, truffles served with bun dough and spiced sauce, langoustines delicately poached in Chinese wine and finally a Malibu parfait with compressed pineapple and chocolate hazelnut crumb. To mark this significant occasion, exemplary Austrian winemaker Lenz Moser has hand-picked three of his signature Chinese wines to complement the selected dishes. 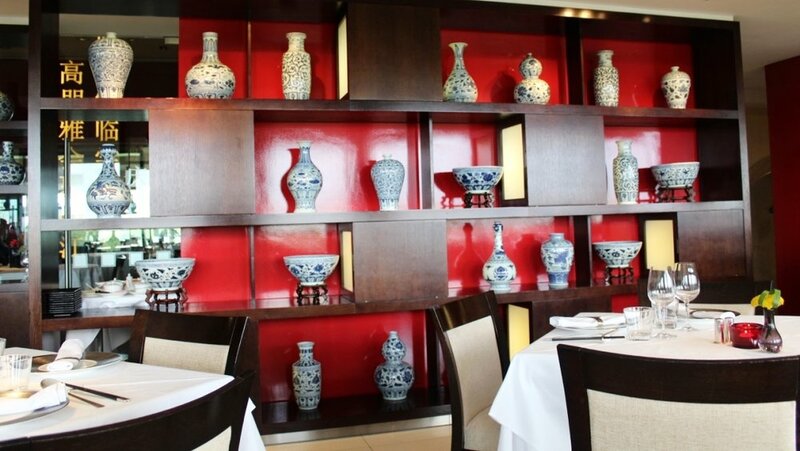 Min Jiang is a luxury high end restaurant and the prices are reflected of the superior experience. The celebratory menu is however an affordable way to try a variety of dishes and sample the best the restaurant has to offer, as it is priced at about £60 per person. Available for a limited time and including vibrant colours and delicate creations, Min Jiang’s brand-new anniversary dishes symbolise good fortune and prosperity. 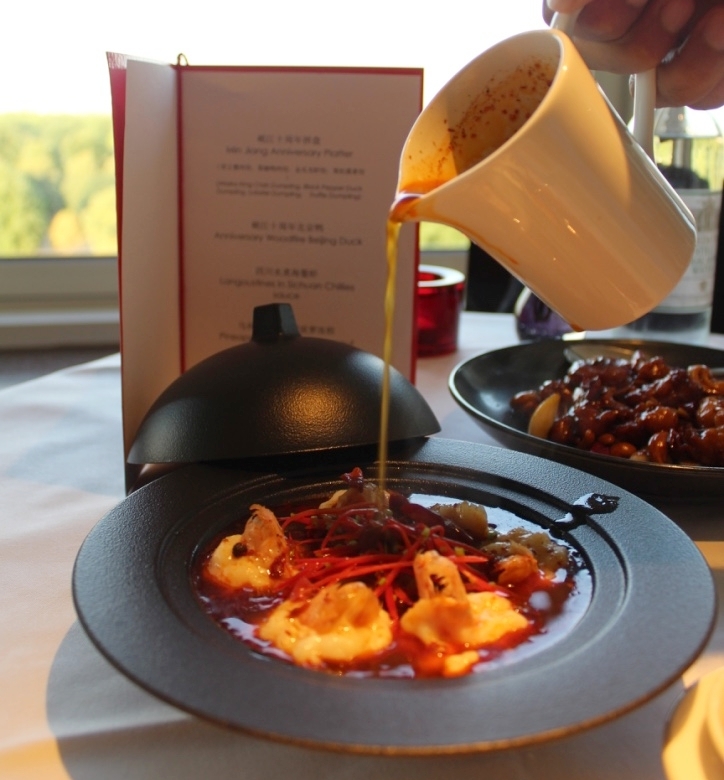 Even if you don’t get to try the celebratory menu, Min Jiang is a beautiful restaurant with stunning views which is well worth visiting. Special thanks to Min Jiang for their hospitality.